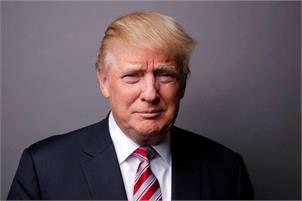 Washington, May 8 (AP) President Donald Trump has declared that his support for historically black colleges and universities remains "unwavering." Trump sought to clarify an earlier statement that some higher education officials interpreted to mean that he planned to end a capital financing programme that helps these institutions repair, renovate and build new facilities. Congressional Black Caucus members criticised the move. The earlier statement was attached to a spending bill Trump signed Friday to keep the government operating through September. Trump said in the signing statement that the administration "shall treat provisions that allocate benefits on the basis of race, ethnicity and gender ... in a manner consistent with the requirement to afford equal protection of the laws" under the due process clause of the Fifth Amendment. The Historically Black College and University Capital Financing Programme Account was one of several programs named in that section of the statement. In response, Reps John Conyers, D-Mich, and Cedric Richmond, D-La, who is chairman of the black caucus, said Trump's statement was "misinformed factually" and not "grounded in any serious constitutional analysis." "For a president who pledged to reach out to African- Americans and other minorities, this statement is stunningly careless and divisive. We urge him to reconsider immediately," the lawmakers said in a statement. Trump said yesterday that the earlier statement spelled out "my intention to spend the funds it appropriates, including the funds for historically black colleges and universities, consistently with my responsibilities under the Constitution. It does not affect my unwavering support for HBCUs and their critical educational missions." Trump highlighted his signing of an executive order earlier this year to move an office dedicated to these institutions from the Education Department to the White House. The order also directs the office to help these institutions become financially stronger, among other steps. Trump also noted that Education Secretary Betsy DeVos plans to deliver her first commencement address this week at Bethune-Cookman University, a historically black university founded in Daytona Beach, Florida, by civil rights activist Mary McLeod Bethune.